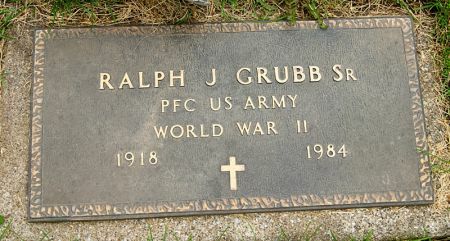 Ralph John Grubb, Sr., son of Charles Wesley Grubb and Louisa Katherine Handke, was born April 17, 1918 in Ruthven, Palo Alto Co., Iowa and died Feb. 25, 1984 in Omaha, Douglas Co., Nebraska. He married Viola Booher Dec. 9, 1948 in Shenandoah, Page Co., Iowa. Obituary available Taylor County, Iowa gen web site. Searching for RALPH JOHN "TONY" SR. GRUBB in Taylor County Iowa?